Astra H / Zafira B single CD player stereo manufactured by Blaupunkt. Model number CD 30, complete with paired LCD display (32pin). Fitted together these matched pair will not require a security code. Has a little dead spot on the Right of the Screen. BLAUPUNKT FIAT PUNTO HIGH CD RADIO DARK GREY FASCIA. Condition is Used. Dispatched with Royal Mail 2nd Class. Blaupunkt London 120 Car Sterio CD/MP3/USB. Really nice little radio in pristine condition. Includes instruction manual and radio cage surround. Unfortunately no original box but will package well in bubble wrap and a box for postage. Came with the van i purchased yesterday and is surplus to my needs. Will throw in the Donnie Darko soundtrack that was left inside (had a listen on the drive home and it is pretty good). TO NOTE: Radio and CD player seem to work fine, however I did attempt to use the usb slot to charge my iPhone on the drive home but it didn’t seem to make great connection. Didn’t do much trouble shooting before I installed my new radio so selling as possibly faulty. T ested and seems to work ok, has been fully decoded and does not beep so will fit in any car with sand radio fitted. We only test the basic cd and radio function and that is it we do not test every single button and feature. It is Blaupunkt RCD 300 MP3. This car stereo is from my Golf GTI MK5. 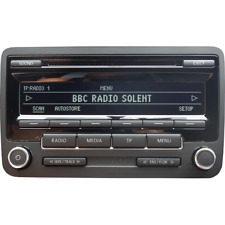 PEUGEOT 207 307 CITROEN C3 RADIO CD PLAYER . Condition is Used. Collection in person only. Car stereo radio cd player BLAUPUNKT Lausanne cd31. BLAUPUNKT Lausanne cd31. radio fm/am tuner RDS. compact audio discs. NO CODE NEEDED JUST PLUG IN & PLAY. Genuine & original Peugeot/Citroen part. NISSAN MICRA RADIO STEREO CD PLAYER HEAD UNIT WITH CODE in black colourin working order and good condition. FITS GOLF BORA PASSAT POLO AND SHARAN. VOLKSWAGEN 6 DISC CD CHANGER AND RADIO CASSETTE PLAYER. SUPPLIED TOGETHER 6 DISC CD CHANGER AND CASSETTE PLAYER. MODEL BLAUPUNKT CD CHANGER. MODEL GAMMA CASSETTE PLAYER. It is also "DAB ready" and RVC-capable. • FM, MW, LW (AM) Tuner. • Front and rear USB for Audio and Video (Standard A-type). • Front SDHC slot for Audio and Video. • 2 x Video output (CVBS) / 1 x Audio output. Has been properly Tech2 "divorced" from the donor car. NISSAN MICRA K11 K12 CD RADIO PLAYER CAR STEREO CODE BLAUPUNKT GENUINE HEADUNIT . Condition is Used. Dispatched with Royal Mail 1st Class. Unlock the CD player in your MG ROVER quickly, safely and easily using the 14 digit serial beginning withBP. FORD MONDEO MK3 ONLY - BLAUPUNKT TRAVELPILOT EX SAT NAV CAR RADIO CD PLAYER WITH BLAUPUNKT 2007 SAT NAV DISK AND SECURITY CODE. FORD MONDEO MK3 SAT NAV TRAVEL PILOT EX STEREO/RADIO CD PLAYER 2003-2007. FIAT GRANDE PUNTO RADIO/CD PLAYER BLAUKPUNT 7646327316 (2006-2010). Condition is Used. The paint of the volume knob is peeled (see picture), hence cheap price. Everything working perfectly. PEUGEOT 407 RD4 D2 N2 RADIO CD PLAYER Condition is Used. Dispatched with Royal Mail 1st Class. 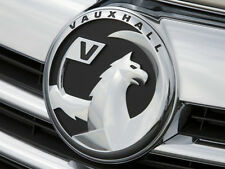 FITS DAEWOO MATIZ LACETTI AND CHEVROLET MATIZ KALOS. CHEVROLET AND DAEWOO CD RADIO PLAYER. SUPPLIED DECODED WILL NOT ASK FOR A SECURITY CODE WHEN INSTALLED JUST SIMPLY REPLACE THIS WITH YOUR EXISTING CD PLAYER AND YOUR READY TO GO. Peugeot citroen RD4 type cd player standard fit to many models 2006 onwards fully tested and in working order. FIAT PANDA SINGLE CD RADIO PLAYER WITH CODE. These keys are designed to remove the original unit from the vehicles listed below Suitable for the removal of all ISO Radios which have 2 or 1 square or round slots/holes on each side of the stereo. FIAT PANDA 139 CD PLAYER - MP3 - WITH CODE. SEAT LEON CD PLAYER - MP3 - WITH CODE. SEAT LEON PLAYER - MP3 - WITH CODE. AS REMOVED FROM A 2005 TIGRA. FITS 2005 2006 CORSA C. BOTH THE SCREEN & THE DISPLAY NEED CHANGING. SEAT LEON CD PLAYER - WITH CODE. SEAT LEON PLAYER - WITH CODE. SEAT LEON PLAYER - WITH CODE. THIS UNIT IS IN FULL WORKING CONDITION. FIAT GRANDE PUNTO RADIO/CD PLAYER BLAUKPUNT 7646327316 (2006-2010). Condition is Used fully working but may need code which I don’t have Dispatched with Royal Mail 2nd Class. 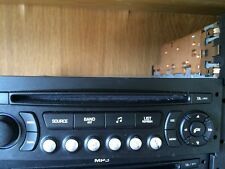 Fiat Grande Punto CD player Car Stereo -. Fits Fiat Grande Punto: 2006 - 2010. This head unit fits: Fiat Grande Punto: 2006 - 2010. factory fit car stereo. Installation is plug and play. The stereo is provided with 3 mo nths warranty; radio code and radio removal. Top of the range : Symphony = 6 disc MP3 CD Changer. BOSCH CONCERT. Middle : Concert = Single disc MP3 CD Player. :RADIO ~ MP3 CD PLAYER. Bottom : Chorus = Basic radio / CD Player (not MP3). F.Y.I. :Code card supplied. AUDI CHORUS CD PLAYER - WITH CODE. CANCHECK WILL GET DISPLAYED ON YOUR CAR IF YOU REMOVE FROM ONE CAR TO FIT INTO ANOTHER CAR. FIAT PUNTO CD RADIO PLAYER. THIS WILL FIT 2000 2001 2002 AND 2003 FIAT PUNTO MODELS. ORIGINAL CD AND. SECURITY CODE SUPPLIED.